Cardinal manages the digital marketing strategies of more than a dozen hotel properties – each with their own set of challenges … and potential. According to EY’s Global hospitality insights: Top thoughts for 2016, in most regional markets, hospitality is in a state of vibrant growth. As more consumers turn to the web to research and book travel, having a strong digital presence is no longer a commodity – it’s essential. It’s no wonder, then, that hospitality leaders Hotel Evolution and IIG Hotels turned to Cardinal to help them maximize their digital reach. In 2015 alone, Cardinal generated $12.5MM+ in web revenue for its hotel clients, while responding to more than 3,000 reviews and increasing our clients’ social media audience by 11,589,936 users. Sure, the numbers might speak for themselves, but let’s delve deeper into how we helped Hotel Evolution and IIG Hotels meet their goals and solidify themselves as leaders in the hospitality industry. Atlanta has the unique honor of being home to the busiest airport in the entire world. At last check, Atlanta’s largest airport sees more than 101,000,000 passengers each year (while it’s closest competitor, Beijing Capital International Airport, sees just under 90,000,000). With this large number of passengers coming and going each day, we knew there was a huge, untapped potential for both Hotel Evolution and IIG Hotels to grow their market share. However, we also knew it’d be particularly challenging to craft the type of content that not only reaches the airport’s diverse passenger population, but also conveyed our clients’ compelling stories. An an “express” hotel, Holiday Inn Express & Suites Atlanta Perimeter Mall is focused on offering reasonably priced rooms that cater to business travelers and short-term stays. With more than 2,300 properties worldwide, guests are certainly familiar with the Holiday Inn Express & Suites name; however, familiarity isn’t enough to stand on when you’re in a highly competitive city as Atlanta. In 2010, Cardinal joined forces with Holiday Inn Express & Suites Atlanta Perimeter Mall to breathe new life into the hotel’s search engine optimization and digital marketing efforts. 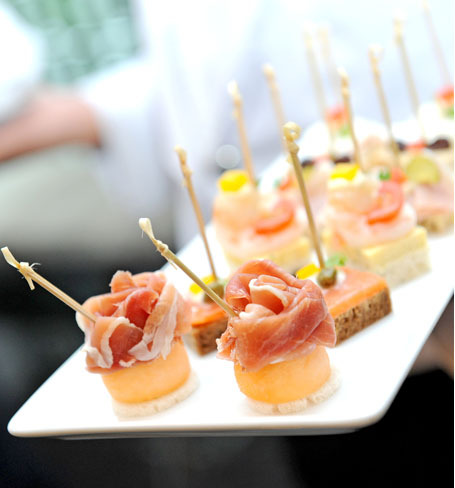 We began by revamping the hotel’s website based on user-experience audits and competitor tracking. 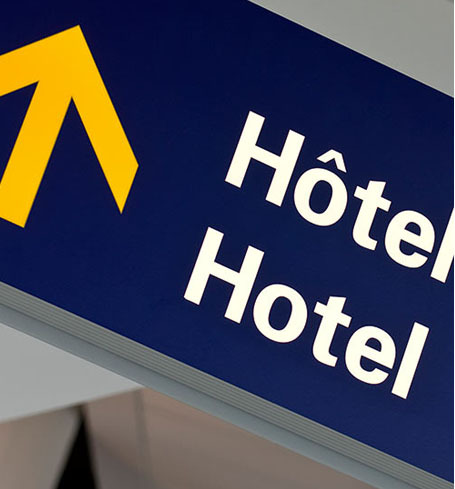 Simultaneously, we enhanced the hotel’s web presence through monitoring and updating third-party directories, as well as profiles found on Online Travel Agencies (OTAs) review sites. We then unleashed our content marketing team to create and distribute press releases, highly shareworthy articles, digital fact sheets and more to establish Holiday Inn as a leader in the industry. 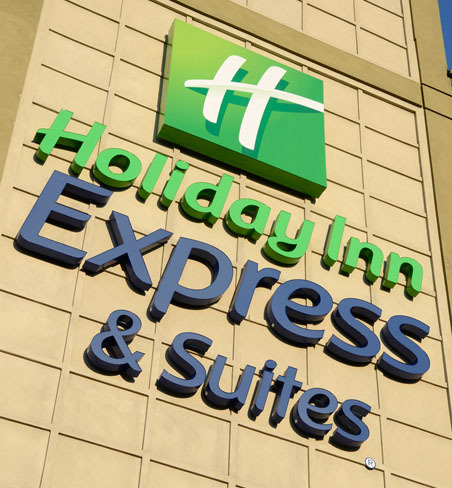 Our work delivered results that exceeded our client’s expectations, which is why, in 2014, Cardinal expanded its partnership with Holiday Inn Express & Suites to handle social media and reputation management. The travel and tourism industry is heavily reliant on search engine traffic. Potential travelers instinctively turn to the web to research and book trips, which is why Cardinal worked hard to ensure that Holiday Inn Express & Suites increased its rankings for key search terms. With our help, the hotel property now enjoys top rankings on Google, which has helped increase web generated revenue YOY by 89%. When it comes to increasing the number of guests that book with a hotel, reputation is everything. Travelers these days have a nearly endless amount of choices in where and how they review and discuss their experiences with a hotel. Potential guests then turn to these reviews to make a decision on where they’ll stay. Clearly, managing a hotel’s reputation is vital toward increasing revenue, thus Cardinal committed to making reputation management a key component of Holiday Inn’s marketing strategy. Since 2014, we’ve responded to more than 1,100 reviews. This type of active participation has led to an increase in total reviews and coverage for our client in such influential sites as Expedia, Hotels.com, and TripAdvisor. Being active on social media doesn’t mean carelessly flooding your audience’s streams with digital drivel. It means knowing who your audience is, knowing when they’re active online, and giving them content that they’ll find useful (and will want to share). The work Cardinal has done for the 12 hotel properties we manage has helped our clients increase their sales steadily, and organically. Through our efforts, not only have our clients enjoyed immediate results, but, by building lasting relationships with current and potential guests, we’ve helped to ensure that the success our properties experienced over the past year will continue on for many years to come.